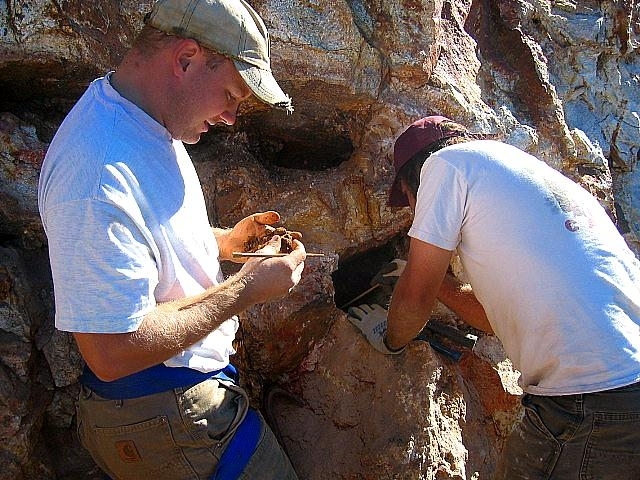 Most of the Green Ridge breccia exposure lies well within the oxidized supergene environment, with most of the sulfide oxidized to goethite. 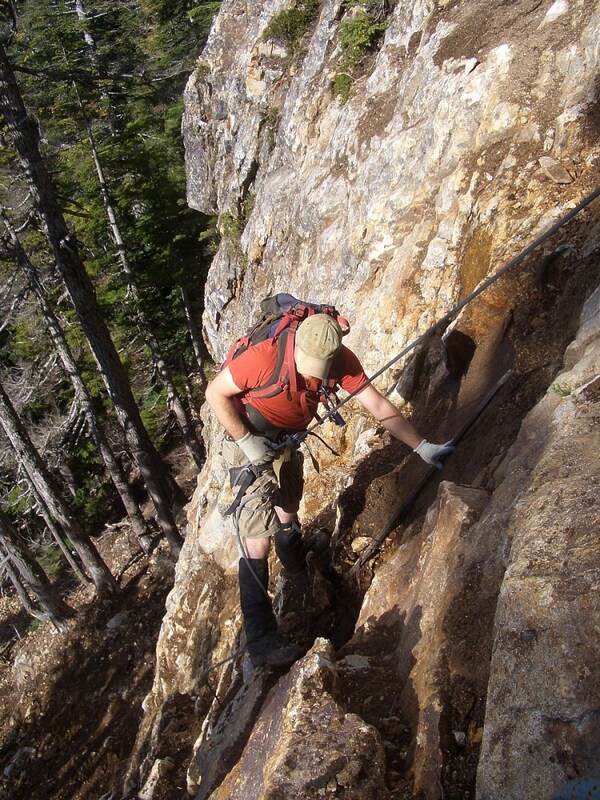 The Green Ridge breccia contains vugs large enough to walk into. 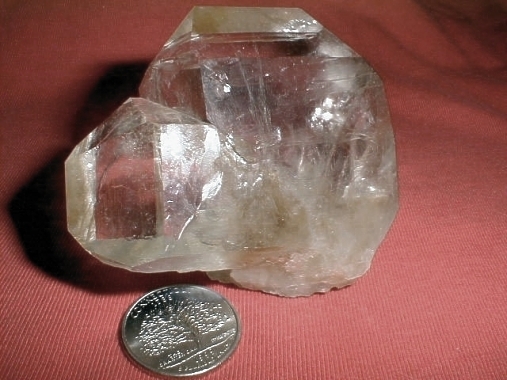 Many pockets collapsed during mineralization, producing pockets with bare walls and an abundance of doubly terminated crystals. 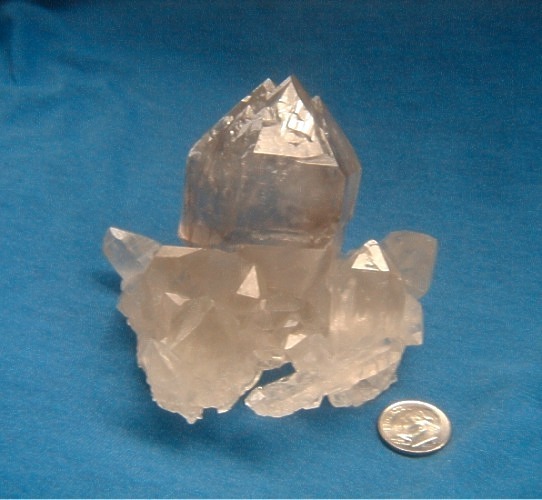 Multiple periods of mineralization are recorded in sceptered, inclusion rich, and phantomed quartz crystals. 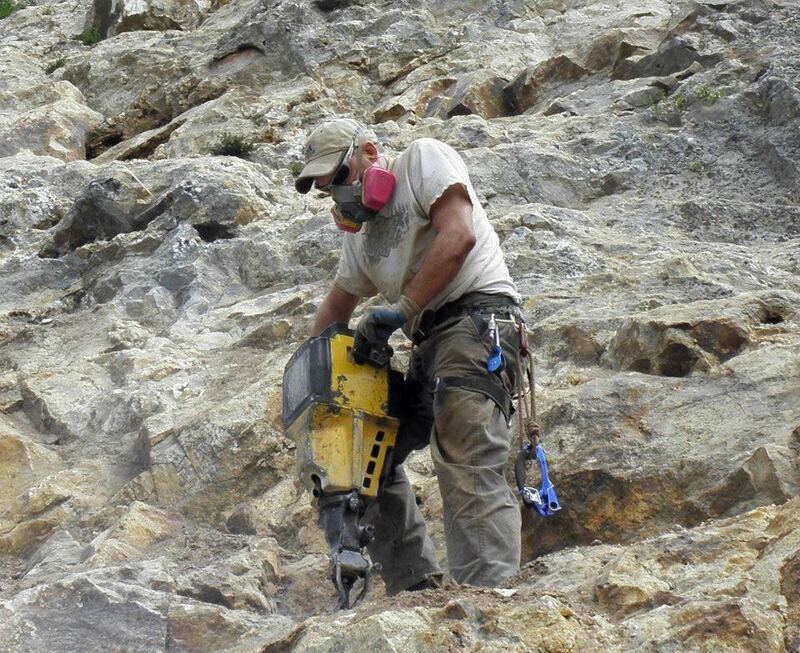 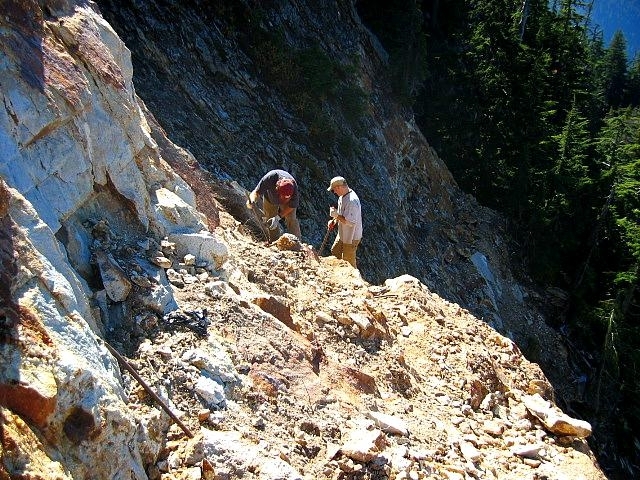 There are three private mining claims that cover the area of the exposed Green Ridge breccia body. 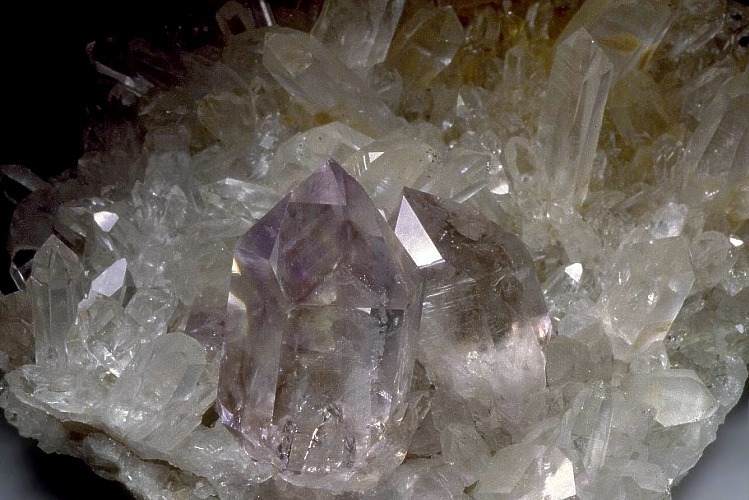 Collecting is prohibited. 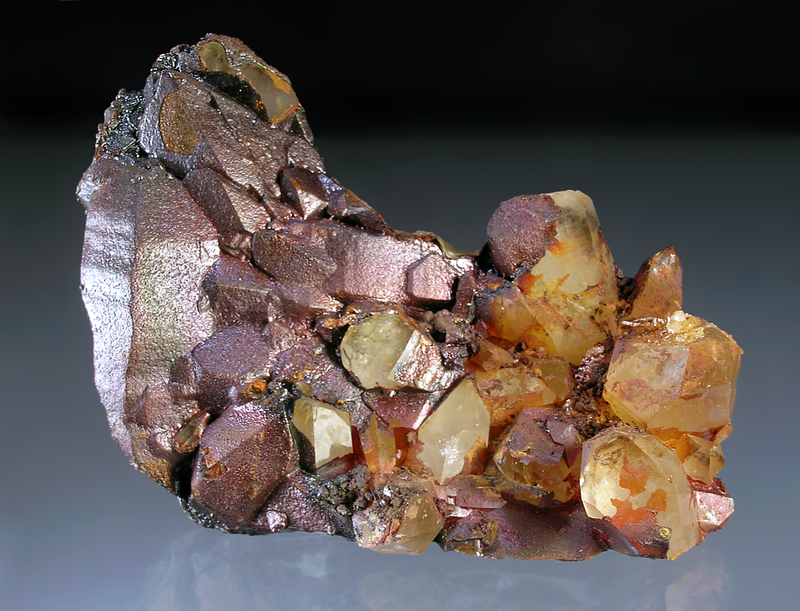 Chalcopyrite- (Cu,Fe)S2 - One large (aprroximately 5 cm) corroded crystal was found in a pocket on a matrix of quartz crystals. 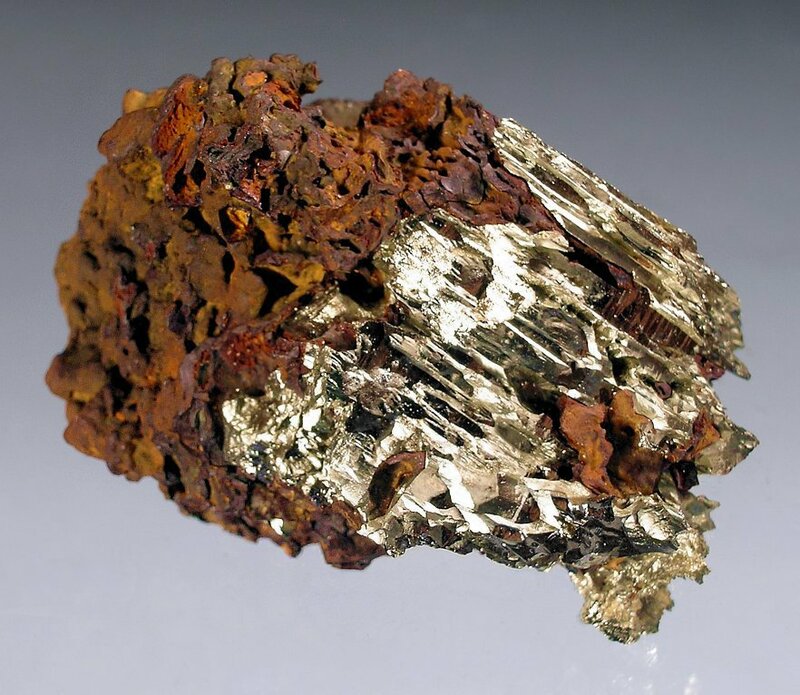 *Goethite- HFeO2 - Occurs coating quartz and filling some breccia pockets..
*Pyrite- FeS2 - Occurs as small (less than 1 cm) inclusions within quartz crystals. 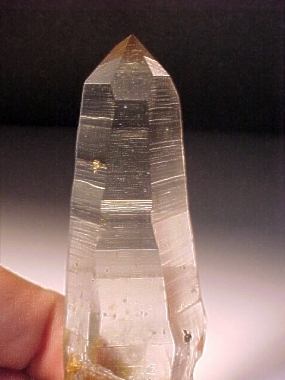 Some quartz contains disseminated pyrite phantoms. 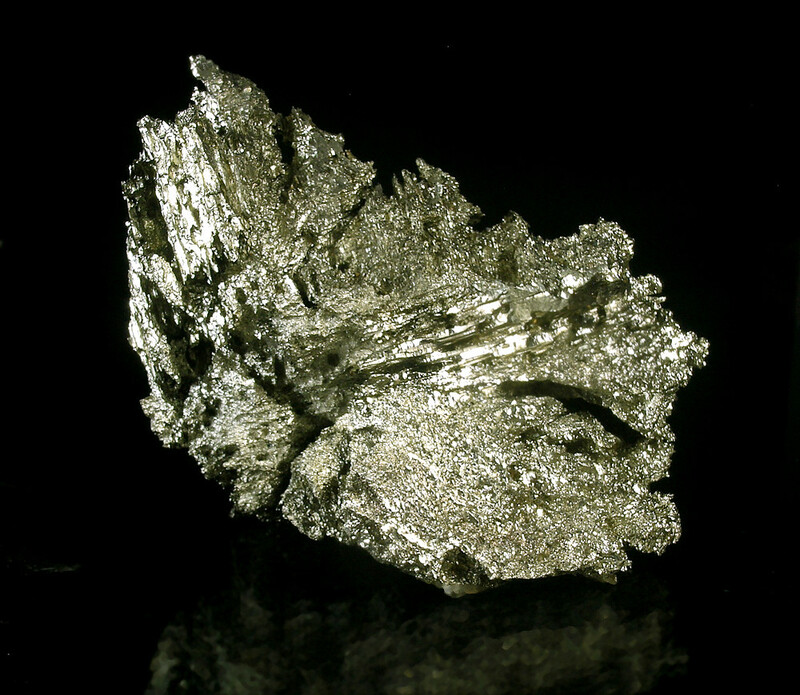 Massive pyrite occurs within some small pockets, but is rare. 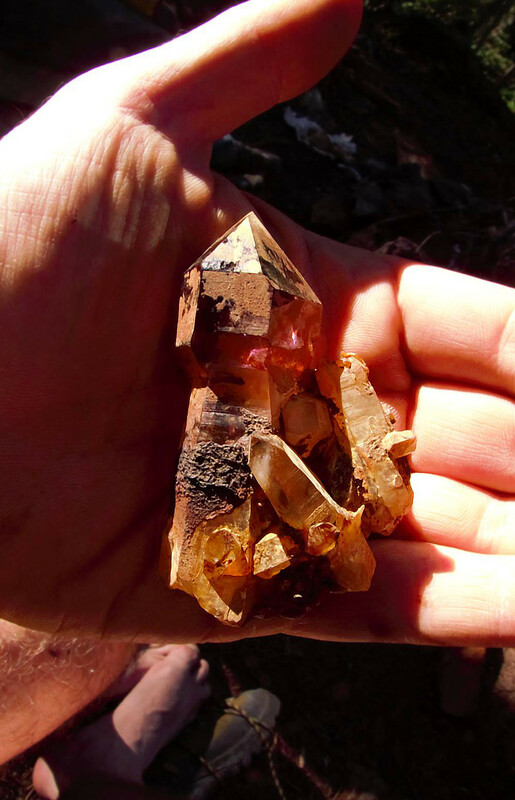 A 3 cm pyritihedron on matrix has been found. 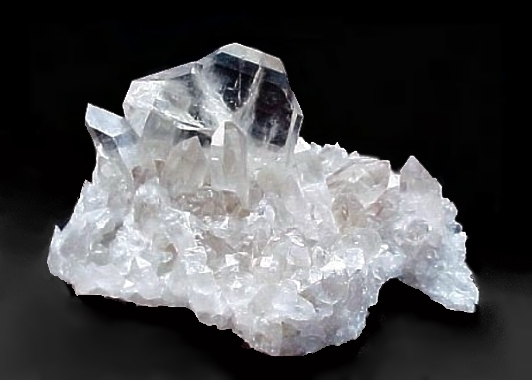 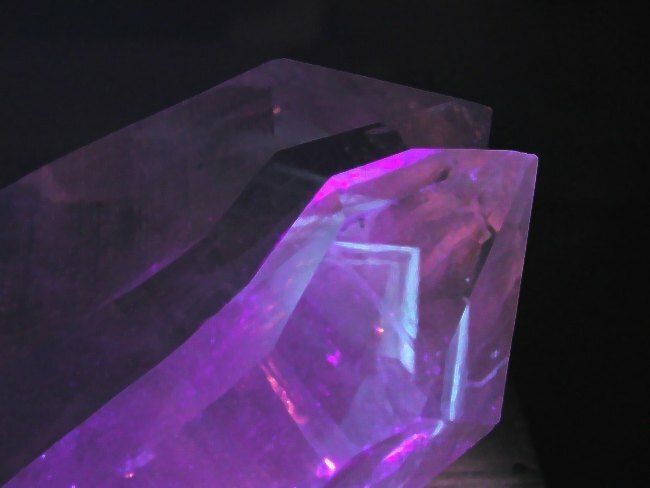 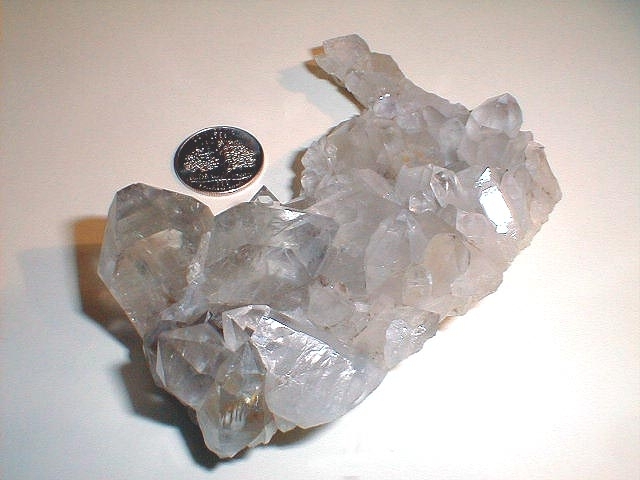 *Quartz- SiO2 - Occurs as crystals to about 20 cm. 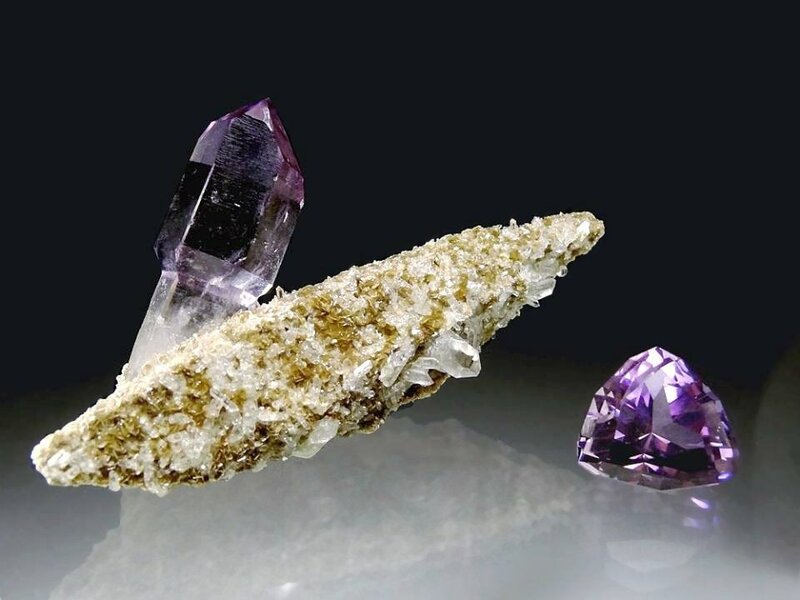 Aesthetic light purple amethyst scepters, some containing enhydros with movable bubbles are found within the breccia zone. 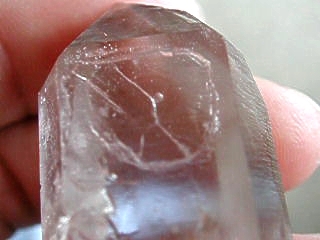 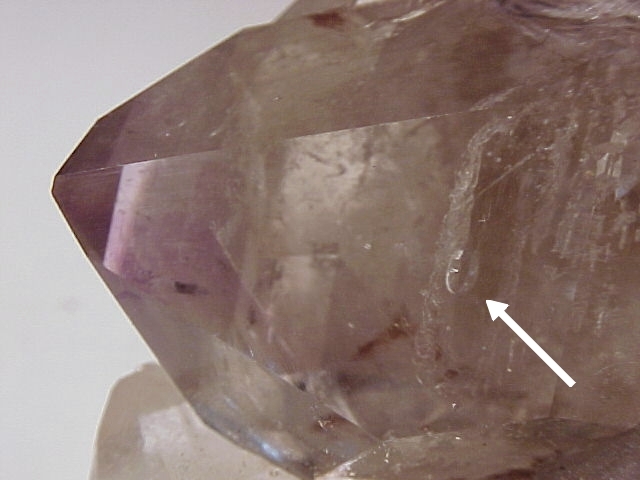 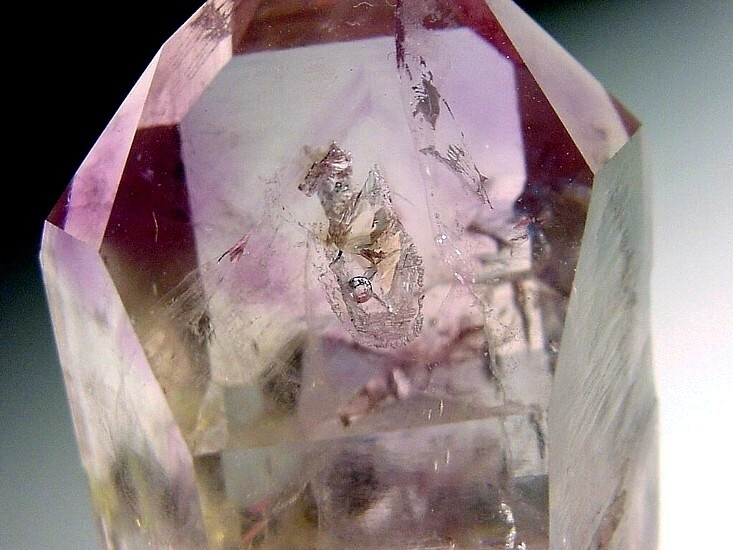 Doubly terminated crystals, some amethystine, and some exhibiting parallel growth have also been found. 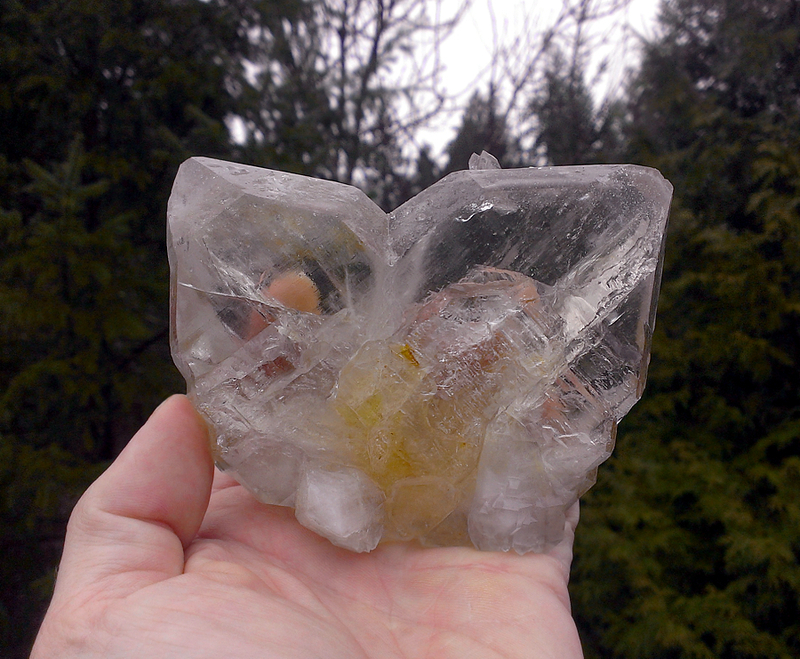 Brilliant Japan-law twin crystals occur but are rare. 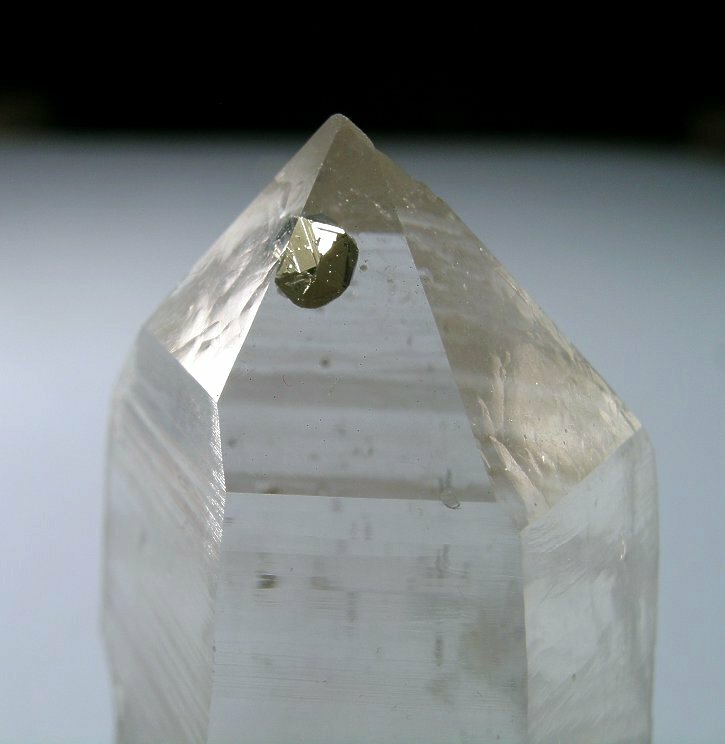 Phantoms and inclusions of pyrite and other minerals occur within individual crystals.